The dominate predators were archosaurs like Postosuchus. Walking with Dinosaurs has Postosuchus as a solitary ambush predator. It had legs directly under the body unlike modern lizards and an ankle design that differed from both dinosaurs and crocodiles. It probably laid in wait on game trails for prey like modern Komodo dragon or crocs do. It could then take out a nasty chuck of of flesh, killing smaller animals or wounding larger animals fatally and then waiting for them to die from the blood lose and infection. It should be noted that while crocs and Komodo are not social pack animals in the mammal sense, they do seem be able to live in close association with other members of their kind. So Postosuchus might not have been as solitary as the show implies. 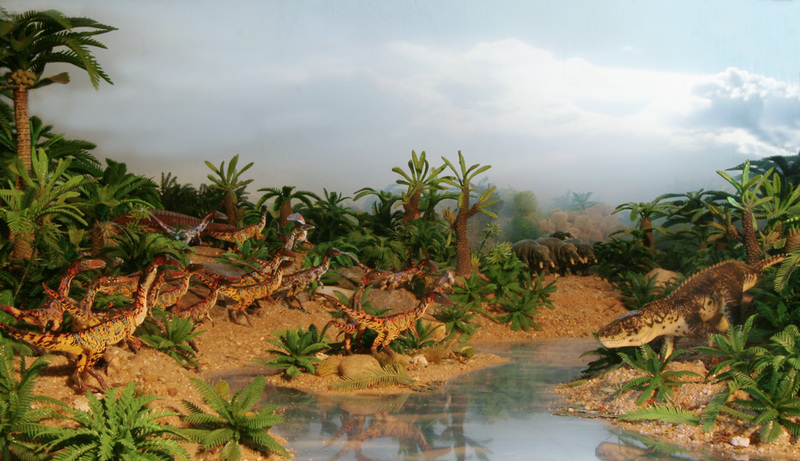 One notable scene has the Postosuchus spraying the boundaries of its territory like a modern lion. I think a certain amount of skepticism needs to be applied here. First birds and lizards don't produce urine like a mammal. They excrete a slurry as seen in pigeons. This reduces their water requirements compared to mammals a difference stressed in the show. I think it that if Postosuchus scent marked its territory, specialized glands might have been a possibility but birds and crocs vocalize to mark their territories so maybe we should have a singing Postosuchus. It could be a Disney musical. Postosuchus was 18 feet long and 6 feet tall. The skull is narrow and deep. The pelvis suggests that Postosuchus was cable of a more upright posture than other archosaurs. 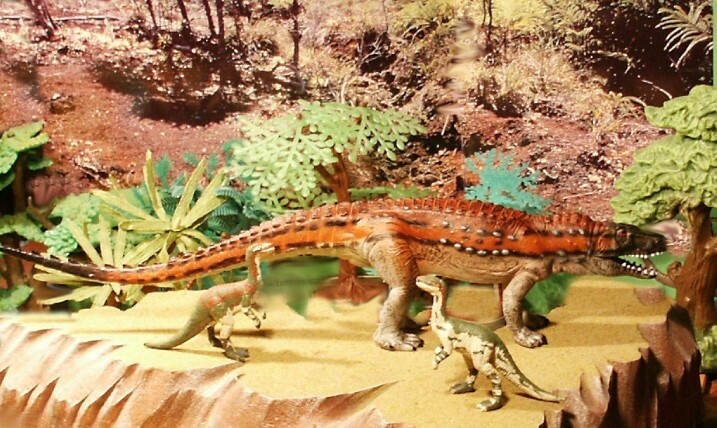 It has been reconstructed with a bipedal posture but the conscensus is it was similar in construction to other archosaurs with a quadrapedal posture. Postosuchus continues into the early or middle Norian. One of the unusual and interesting rauisuchians discovered in recent times is Postosuchus, from the Triassic Dockum Formation of Texas and made famous in Walking with Dinosaurs. While the ornithisuchids and rauschids continued to share the top predator slot with dinosaurs, dinosaurs take over the small to medium carnivore roles and prosaurapods take over the herbivore category.